IAG provides a variety of Business Architecture Services to satisfy a broad spectrum of strategic, tactical and operational business needs. Business Architecture models and activities assist management executives by providing a holistic view of business capabilities across functional and operational boundaries. IAG’s Enterprise Business Architecture Services involve a variety of models and methodologies from BPM, Lean, Six Sigma, Hoshin Kanri, Kanban, IT, TOGAF, Zachman, other Enterprise Architecture frameworks and domains. 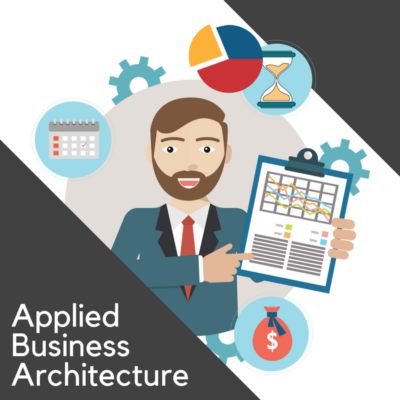 IAG and Enterprise Architects Pty Ltd have partnered together to offer a variety of services and courses for those intersted in Enterprise Architecture and Business Architecture. IAG uses best practices including blueprints, capability modeling, value stream analysis, process modeling, information modeling, business motivation modeling, and many others. IAG bases its Enterprise Business Architecture practice on the thought leaders and industry standards bodies such as The Open Group, OMG, and the Business Architecture Guild.